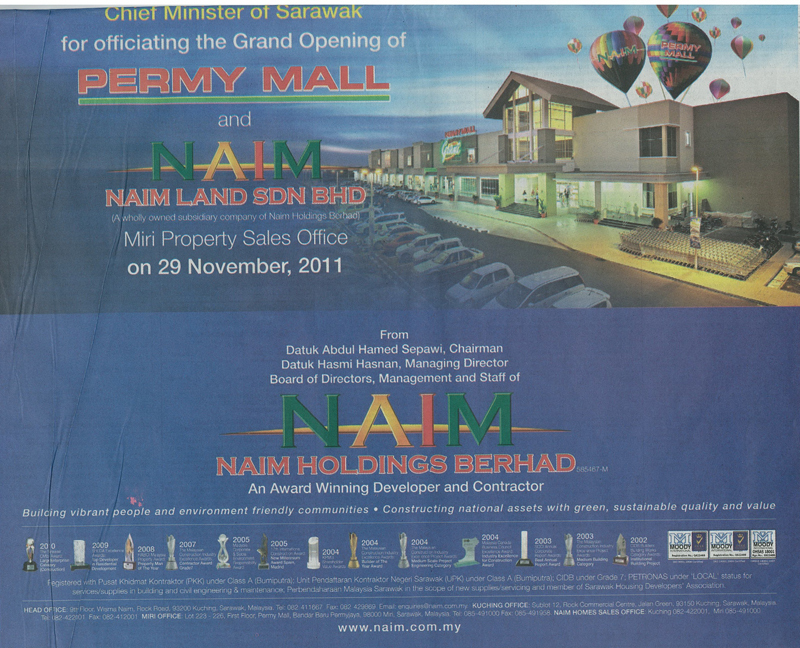 Permy Mall has its soft opening on 11.11.11 a date which comes once in a decade and was officially declared opened by the CM of Sarawak on 29.11.11. Permy Mall is located in Naim Bandar Baru Permyjaya (BBP), Miri, one of the fastest growing townships in Sarawak and home to about one-third of Miri’s population. It is also located near to the various education establishments which include 4 schools, 2 colleges (ILP and IKBN) and Curtin University. Permy Mall is a contemporary 2 storey shopping mall with a gross floor area of 275,000sq ft and a net lettable area of 153,000 sq ft. spread over 8.43 acres with more than 1,000 car parking bays. Permy Mall houses 105 retail shops, a food court and 1 supermarket. The main anchor tenant for Permy Mall is Giant Supermarket who took up an area of 65,000 sq ft. on the ground floor. There is also an approximate 30,000 population in close proximity to lend support to the viability of the mall. Permy Mall is located along the highway to Brunei, one of the richest country in the world. Many Bruneians would spend their weekends in Miri and on the return journey bring back cart loads of good supplies to last the week before coming again. 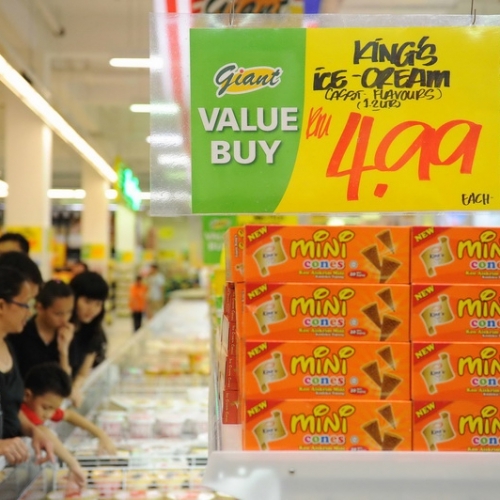 Their higher currency rate has made it attractive for them to shop and dine in Miri. According to statistic it was reported that as many as 1.8million visitors come to Miri via the Sungai Tujoh – Brunei border in 2009. 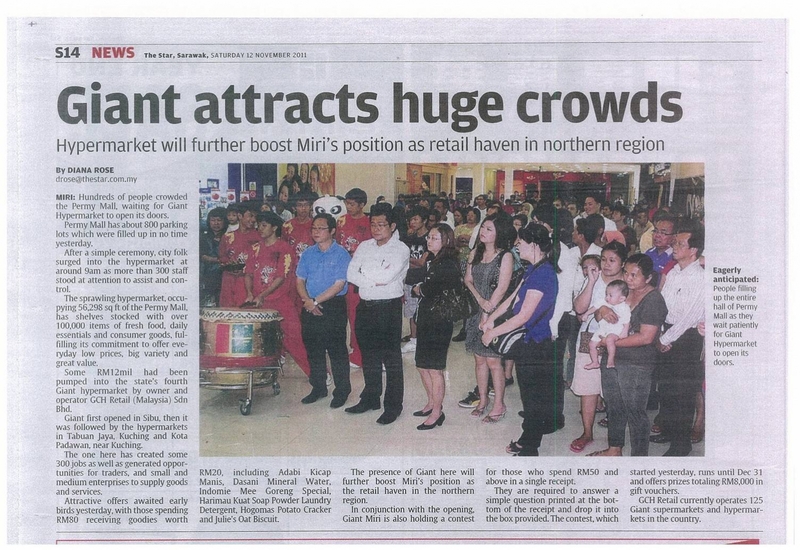 Miri’s population generally enjoys higher earning capacity due to the presence of Timber, Oil & Gas industries. 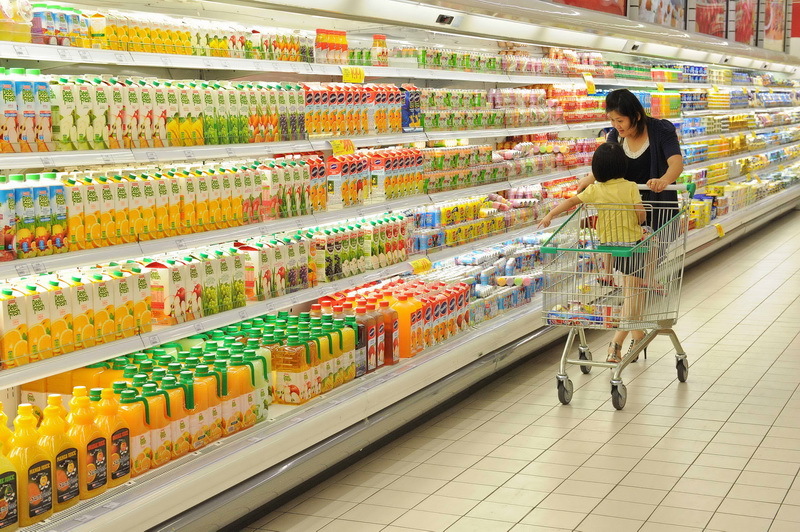 Miri also has a large pool of expatriates which had led to the thriving retails and food business. Permy Mall is about 15 minutes drive from Miri City Centre, 10 minutes from Lutong Town and about 20 minutes drive to the Sungei Tujuh –Brunei immigration check point, Miri’s gateway to Brunei. 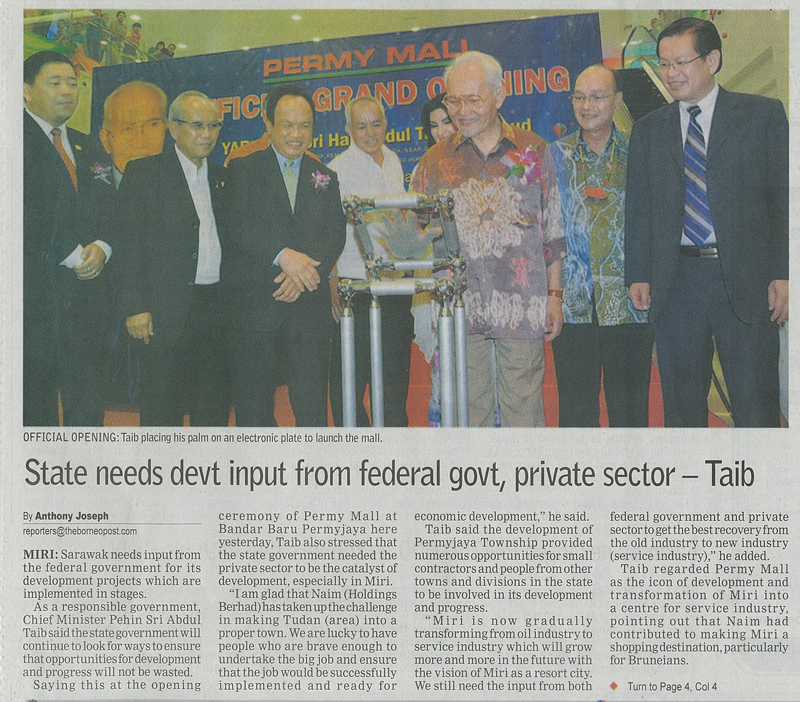 Permy Mall is the first property to be owned and managed by Naim Holdings Bhd. The Group is looking to build its portfolio to RM3 billion worth of properties by the year 2020. The construction of bigger malls is in sight, as part of Naim’s goal to set up Real Estate Investment Trust (REITs). Public listed Naim is an award winning Bumiputera developer and contractor focused on the construction of commercial and residential properties as well as carrying out of civil and infrastructure construction contracts. KBLD Bandar Baru Permy Jaya, Miri.